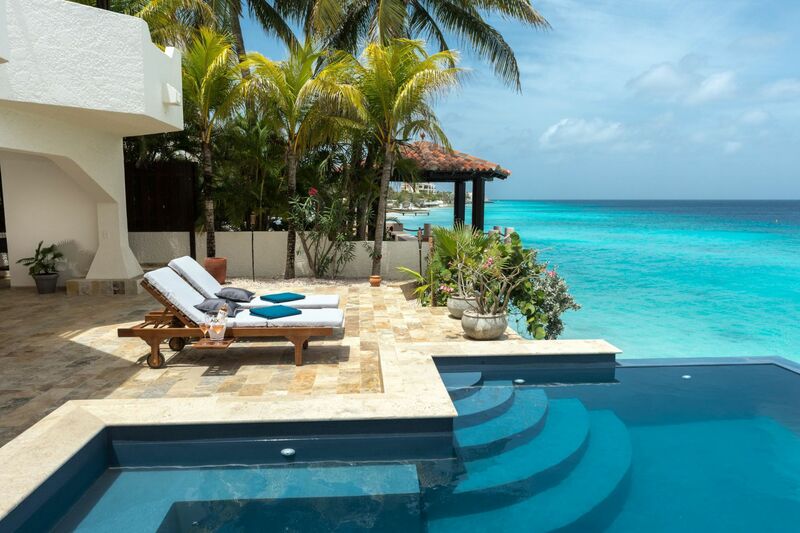 This home has a tropical ambiance and very pleasant appeal. 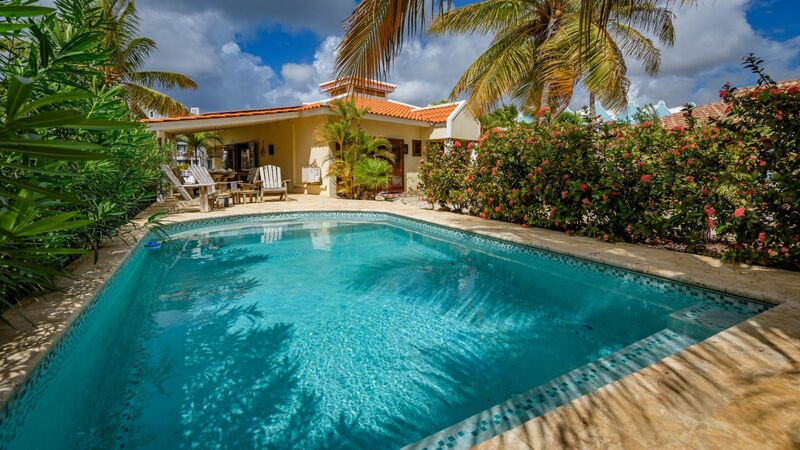 Located in one the most desired waterfront areas on Bonaire, this spacious villa offers luxurious waterfront living combined with a smart lay out. The wide covered porch directly on the water is the perfect place to catch the refreshing cross breezes. Your small boat is safely docked at the private jetty while you enjoy a late afternoon drink on the sundeck around the pool, or the secend covered porch with an outdoor kitchen. The villa stays nice anc cool during the day due to the use of ventilation shutters in the doors combined with the ridge vent on the roof. Landscaped tropical garden with palm trees and gravel, fitted with drip system. 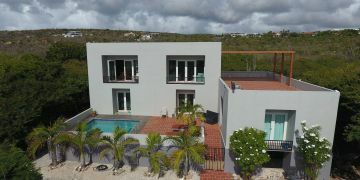 Entrance via garden, front door with halway to guest toilet, masterbedroom with build in closet and batroom en-suite, bedroom 2, bedroom 3 with bathroom 2 en-suite with acces to halway as well. Living room with folding doors to covered terrace at waterfront, kitchen. Second covered terrace on side of the home with outdoor kitchen, swimming pool with sundeck and separate storage space on roadside of the lot. Prepared for air conditioning. Current istallations are not functional. Poolpomp en filtersystem, salt water pool via electrolysis. Registered at the Land Registry Office Kadaster, number 4-F-1130, ending on June 28th 2061, and a 1/17 share in the jointly owned road.